Take a quick and short review about 2 great recumbent bikes will not waste your time. 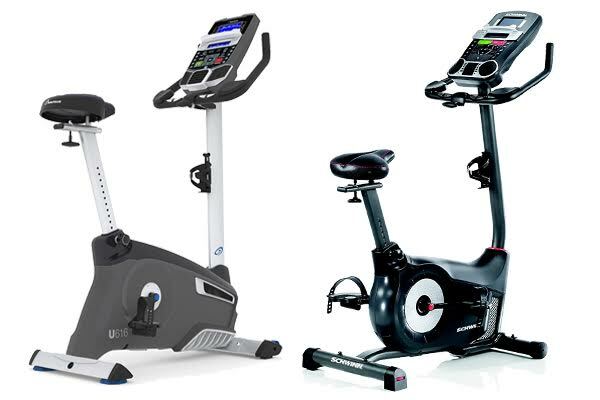 These 2 great are coming from 2 different brands too, The Nautilus U616 and The Schwinn 170. Although, they only consist little difference or similarities, they are still existed among two of them. And so with the price too. The detail will be discussed on each paragraphs of this article, you just have to read it carefully to make the right option if you are in choosing condition of a recumbent bike. Good luck! Nautilus U616 is a bike with good-looking and styling covered with white support poles and modern computer console. It is supported you with variety of programs of workout for helping you reach your goals and match with the fitness ability. There are 25 resistance levels in Nautilus U616 with range from easy to hard, it is based on what levels you are in. The purpose of making the levels is to increase the smooth between incrementally and movement. You will get a low impact experience too on this U616 and you can change your profiles on it easily because, it is provided with 4 different user profiles. The dual displays give you many feedbacks as you workout to see how you are getting on and to keep you track. When you use the media tray as a cover of the upper display, you can see measures on it. Take a look: Schwinn 130 vs 170. This is one of the most popular bike among us, because of the amazing features follow with affordable price too. In Schwinn 170, you can find 13 lbs flywheel, belt drive, 25 resistance levels of magnetic, and 29 workout programs. A lot of people can use it even they are still in beginner. It demands workout including indoor training for all cyclists and it is a compact thing which fit into most homes without overtaking a room, at the same it can also be moved in transport wheels if you want to put it out of the way. A water bottle holder makes a useful attachment, while the lower profile to the flywheel casing makes it easier to get on and off the bike. We think that the Nautilus U616 is better especially in giving a ride and feel a little more stable. With the applications on Nautilus U616 you can also upload your workouts by using bluetooth, although in Schwinn 170 you can also save some work in USB stick. But, still, if you want the affordable one, we think that you must choose Schwinn 170. For a recumbent bike, Schwinn 170 has a good features and quality that is all enough for you.